In this post we are exploring the mathematics in the Haven’s™ design; something that caught our attention again and again during the building process. While laying the foundation and fabricating the Haven’s™ panels we discovered the famous Golden Ratio emerging throughout our design. What exactly is this ratio and why is it so intriguing? 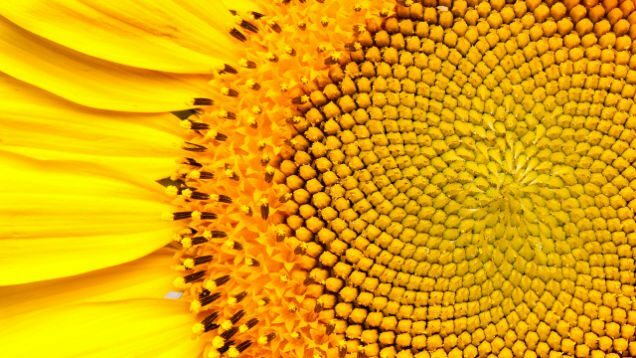 As one moves higher in this series the division of any two adjacent Fibonacci numbers (8/5 or 55/89, for example) produce an increasingly precise approximation of this Golden Ratio, about 1.6180. 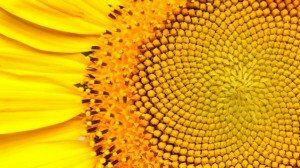 This ratio is an architect of nature, from snail shells and fly eyes to the dimensions of the human body and Saturn’s rings. We recommend a wonderful short film by Cristobal Vila for a beautiful visual tutorial on how this Golden Ratio is embedded in our world, definitely worth watching! 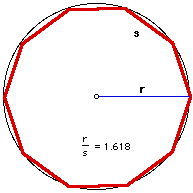 r (radius) = 233”, s (side) = 144”, 233/144= 1.6180! From this decagon we made 10 equivalent triangles in order to ensure perfect symmetry across our foundation. Each of these triangles is composed of two 72° angles and one 36° angle. Coincidently, a triangle with these angles is called to Golden Triangle because the longer side divided by the shorter side results exactly in the Golden Ratio, 1.6180. We then came to find that this Golden Triangle is also an inherent part of a regular pentagon, the key shape to our Haven™ design. 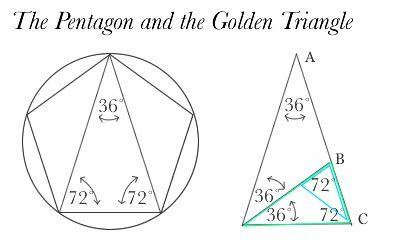 Within every regular pentagon there is a Golden Triangle with the angels 36 and 72 degrees, as seen in the figure below. In the figure to the right segment AB is smaller to AC by a factor of the Golden Ratio, and as you can see an infinite pattern emerges within this triangle as more and more golden triangles are drawn within the predecessor. Such is nature: within each shape is the recipe for all future generations. Our Haven™ is derived from half a pentakis dodecahedron, a 3-demensional polyhedron composed of pentagons all made of equilateral triangles. Based off the two above examples, the entire structure, from foundation to roof, contains innumerable Golden Ratios.